We work on all types of heating and cooling systems, including gas, oil, propane, and radiant systems. We're an honest & reliable local family-owned company. Our heating systems are crucial for the cold Cheshire CT, Wallingford CT, Meriden CT, Southington CT, Hamden CT, Waterbury CT, Naugatuck CT, North Haven CT, Wolcott CT, Bethany CT area winters. At East Coast Mechanical, Inc. Of Cheshire CT, we know you need to keep your family safe and warm all year round. Which is why we provide professional heating system service, repairs, and installations that you can depend on. Our dedicated team of technicians will be ready to service your existing furnace or install new, any time of the year. Since 1994, we’ve been keeping your comfort a top priority. Visit the pages below to learn even more or contact our team today to get started on your heating system needs! While the winters can be frigid, the summers in Cheshire and surrounding areas can be boiling. The team at East Coast Mechanical, Inc. Of Cheshire CT is prepared to handle your needs either way. Your cooling system can be a savior on the hottest days of the year, which is also when it’s most susceptible to failure. To help relieve your stress and keep you cool, our technicians will keep your air conditioner maintenance up-to-date, show up on time for repairs, and complete your new air conditioning installations. Quality service is our goal for all your heating and cooling needs. Learn more about our air conditioning services below! Looking for an Oil to Gas conversion expert? East Coast Mechanical, Inc. Of Cheshire CT has you covered! Call us today at 203-272-6676 to book an estimate! East Coast Mechanical, Inc. Of Cheshire CT services and installs most makes & models of gas, oil, propane & radiant heating and cooling systems. 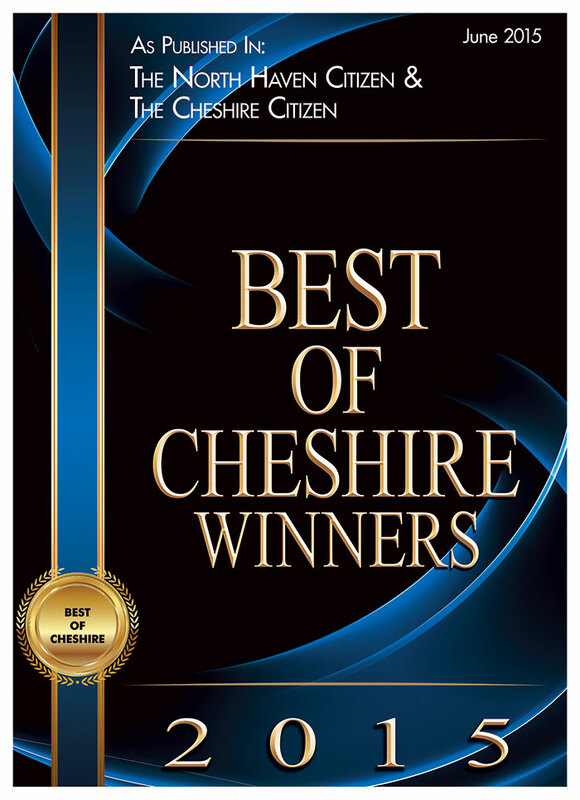 Formed in 1994, East Coast Mechanical, Inc. Of Cheshire CT provides straightforward, cost-effective, and quality solutions to your heating, cooling, air quality, and hot water needs. We make it simple and convenient to afford superior comfort. Through leading-edge equipment, proven processes, and a team of highly trained professionals, we handle residential and light commercial construction, renovation, and replacements, along with proactive maintenance and repair. Our complete, on-site fabrication shop and extensive inventory of service parts ensure quick and seamless management of even the most intricate challenges. Free estimate with heat loss calculation for comfort system installations or replacements. This gives you the accurate information you need to make an informed decision. Our NATE-certified professionals will further assist you with informed recommendations, personalized attention, and our unwavering commitment to your satisfaction. Our business is built on the trust and loyalty of our customers. It is our mission to meet our customers individual comfort needs, by offering honest and dependable solutions and service. We strive to help protect the investment of your home and/or business in Cheshire and surrounding towns across all of Central Connecticut. Cheshire CT, Wallingford CT, Meriden CT, Southington CT, Hamden CT, Waterbury CT, Naugatuck CT, North Haven CT, Wolcott CT, Bethany CT. Enjoy the benefits of modern heating and cooling systems! The improved energy efficiency ratings of modern heating and cooling systems are pointless if the equipment is not installed properly. According to a recent study from the National Institute of Standards and Technology (NIST), 90% of HVAC units suffer from energy-wasting installation errors. NIST research suggests that faulty or careless installation procedures can increase household energy use by 30%. Commonly reported mistakes to include leaky ducts, inaccurate refrigerant charge, oversizing of units, and blocked airflow. Investing in superior cooling equipment isn’t enough to ensure your ongoing comfort, cost-savings, and satisfaction. 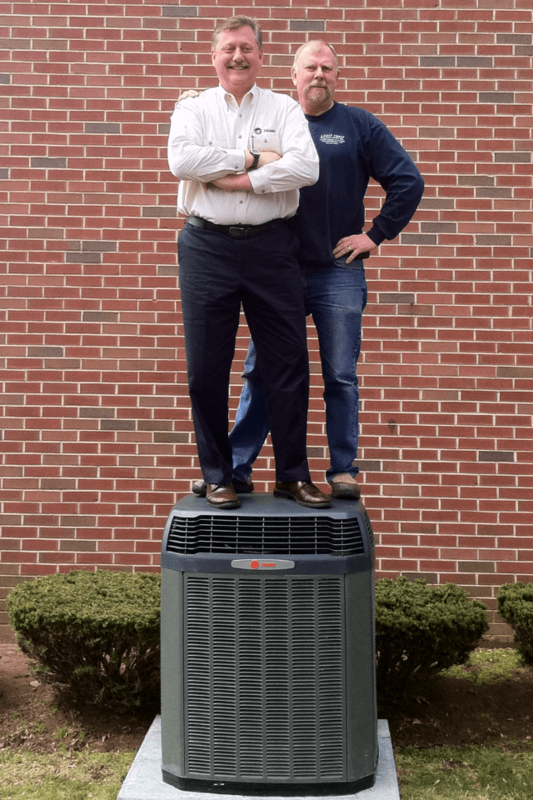 You need the skilled and dedicated professionals from East Coast Mechanical, Inc. Of Cheshire CT to make absolutely sure your HVAC equipment is perfectly sized, installed, and serviced. Our years of infield experience continued education, and standards of quality add up to superior temperature control. Our NATE-certified technicians perform a heat loss/heat gain calculation from a laptop computer in your home, delivering precision design and layout of your HVAC system. We determine the necessary heating/cooling requirement in each area of your residence or commercial facility. We are among the 2% of professionals who complete this process. We also work closely with you, listening to any concerns, expectations, or future plans you may have, to custom design a system that not only answers your comfort needs today but for years to come. Know that our job isn’t complete until you are familiar with and 100% satisfied with the operation of your heating/cooling unit, and our licensed professionals will perform a 33-point quality audit to verify perfect performance. We also offer maintenance agreements to eliminate the work and worry of upkeep and ensure ongoing reliability and efficiency. Whether you’re looking for effective answers to your hot water needs, heating/cooling solutions, air quality strategies, or state-of-the-art thermostat installation, East Coast Mechanical, Inc. Of Cheshire CT services Cheshire and the surrounding areas of Cheshire CT, Wallingford CT, Meriden CT, Southington CT, Hamden CT, Waterbury CT, Naugatuck CT, North Haven CT, Wolcott CT, Bethany CT with honest, fair, dependable service. 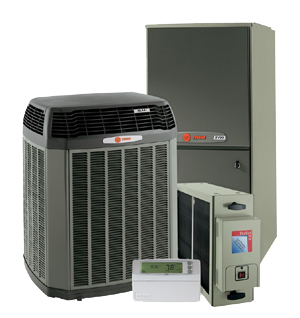 East Coast Mechanical, Inc. Of Cheshire CT is a Trane Comfort Specialist. This recognition is not handed out but earned, by consistently meeting exacting standards for customer satisfaction, training, and business practices. We uphold family values, taking great pride in a job well done, and bringing our customer’s superior results at affordable rates. Contact East Coast Mechanical, Inc. Of Cheshire CT at 203-272-6676, and know you’ll be well taken care of. Family-Oriented, Satisfaction Guaranteed!